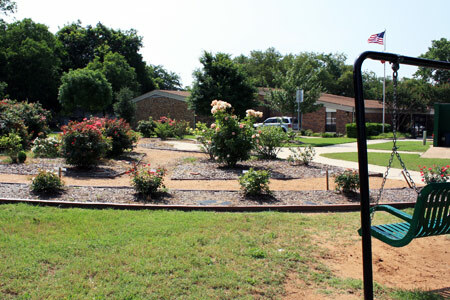 The Haltom City Senior Center is operated out of the Department of Parks & Recreation and contracts with Senior Citizens Services of Greater Tarrant County to provide the congregate meal program funded in part by Haltom City, The United Way and The Tarrant County Area Agency on Aging. Meals are served at 12:00 p.m. each weekday Monday through Friday. Reservations for lunch can be made anytime before 1:00 p.m. the day before you would like to eat. Suggested contribution for the meal is $2.00 for anyone 60 years of age or older or married to someone 60 years of age. Anyone under the age of 60 who would like a meal can purchase one for $6.00. The Senior Center is a partner agency with the Tarrant Area Food Bank and does a weekly food distribution every Wednesday.